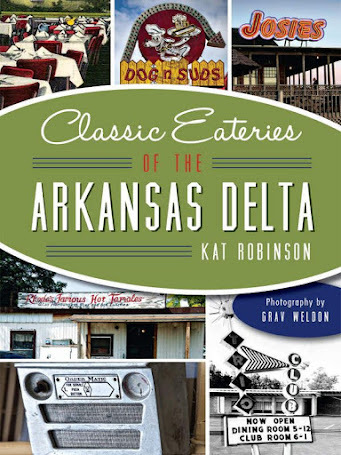 The southeast Arkansas town of McGehee is very much representative of great hometowns in the Delta. 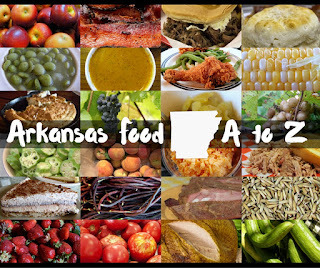 It's a base for farmers and businessmen, located along a major railroad, close to fishing on the Mississippi River and Bayou Bartholomew, in the heart of a great growing region for cotton and soybeans and packed with members of a great community. 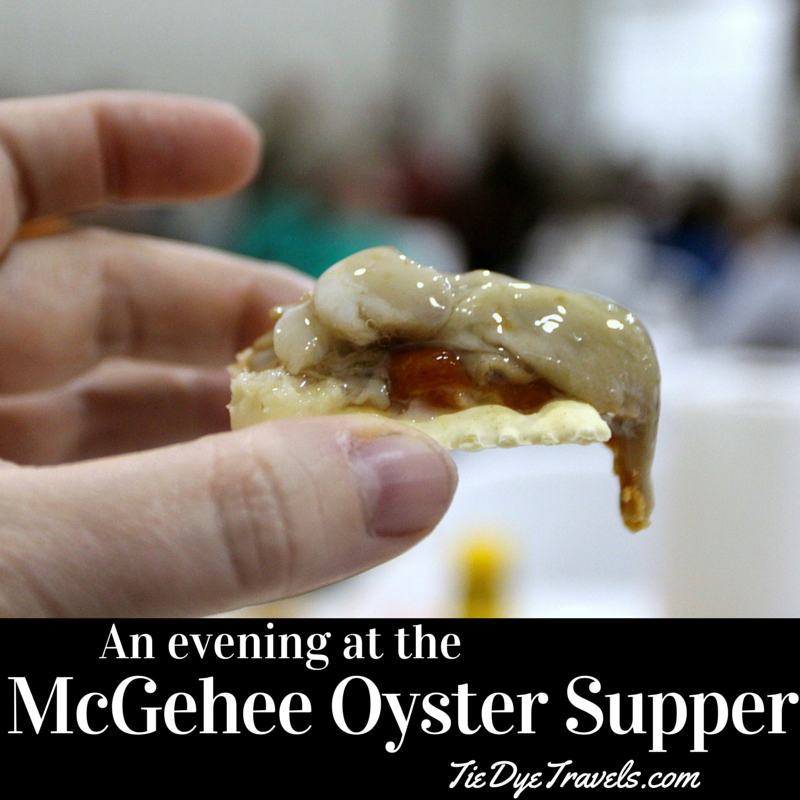 It's those community members who come together the first Friday in February each year to celebrate that community and help fund all sorts of projects in the area with the annual McGehee Men's Club Oyster Supper. Unlike a similar annual affair in Slovak, the McGehee soiree is open to everyone - men and women, adults and children alike. 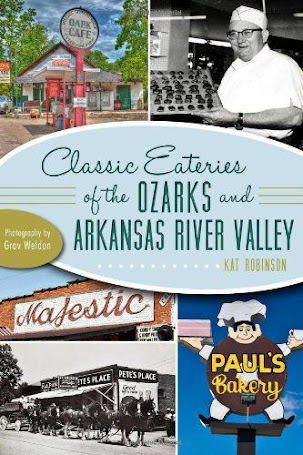 They all head out to the McGehee Community Center by the airport with the intent of having a good time... which is almost certainly going to happen. blue beacon for all to see. We arrived to find the parking lot full and were directed to park along the road out to the airport, where we were fetched by a young man in an all-terrain vehicle and swept up to the center, a very large building with a large crowd within. After dropping tickets off in a raffle bin with our names and addresses on the back, our hands were stamped and we were ushered in. 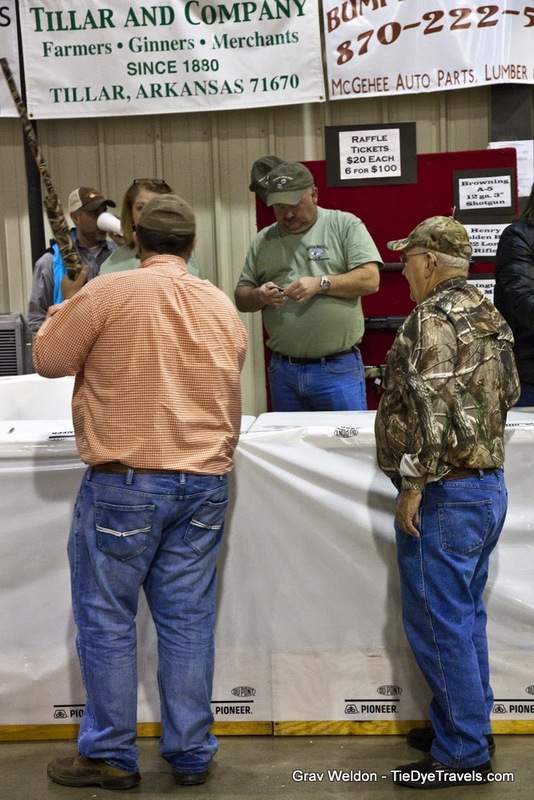 There were booths in this outer room, selling t-shirts and raffle chances for different prizes ranging from vacations to vehicles to shotguns. There were also stands where you could purchase a cold beer, and all sorts of information. 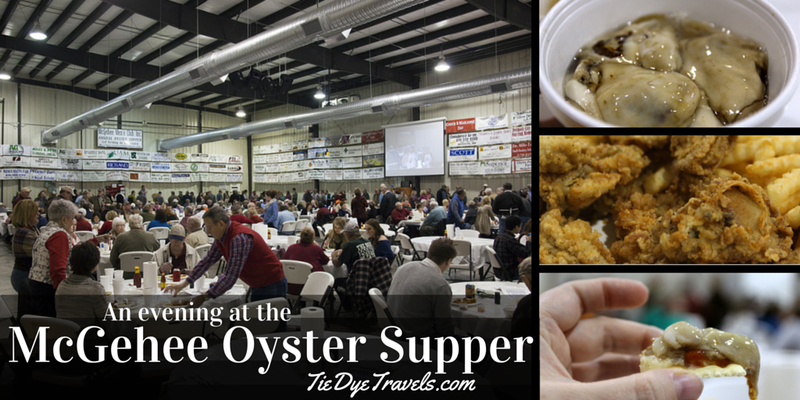 past one booth, under scores of banners, turning corners and surrounding the crowd up to the hot line, where oysters and catfish and fries were dumped time and again as attendees filled plates. The babble of the crowd was almost deafening. Andy Gill, one of the founding members and current president of the Men's Club, showed me around and shared with me the history of the supper. It started in 1995 with just 200 people in attendance, and has worked its way up to a 1200+ person event. 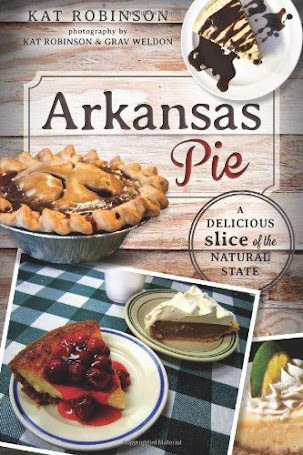 The proceeds go to several organizations and to funding an annual scholarship program. 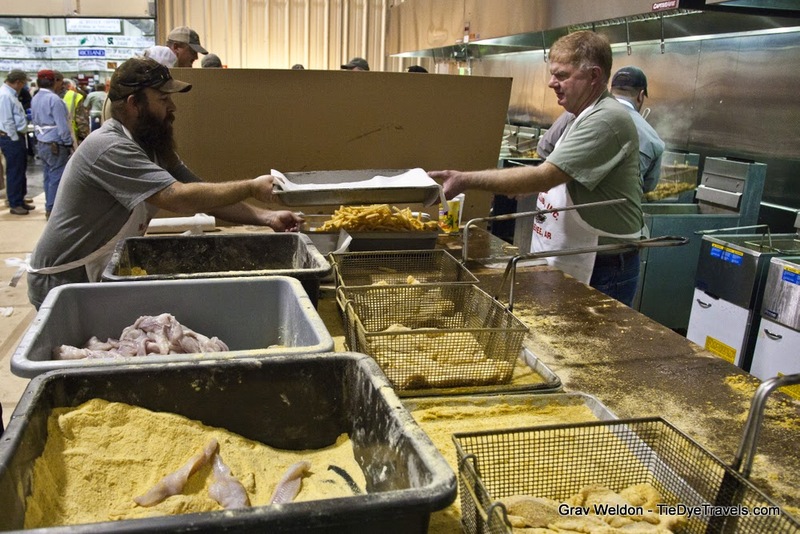 He took me through the large kitchen area -- an impressive bay of individuals preparing the repast. At one small island of tables, bowls of the soaked Italian salad, cocktail sauce and horseradish were being dolled out. The recipes for the salad and the cocktail sauce come from the event. 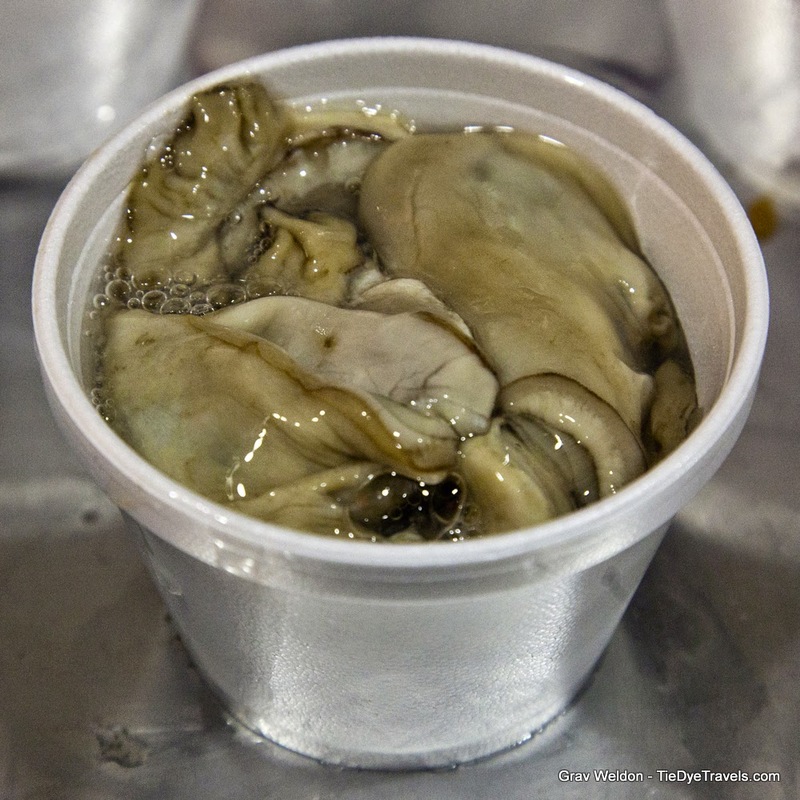 be dropped in cups for raw consumption, or moved to the frying station. A young man fetching more oysters from the cooler mentioned these were the largest oysters they've seen in some time. Indeed, some of the ones I saw were the diameter of a golf ball. places as well). Gill told me what was left over at the end of the evening would be donated to the local Boy Scouts to use in their annual dinner a few weeks later. 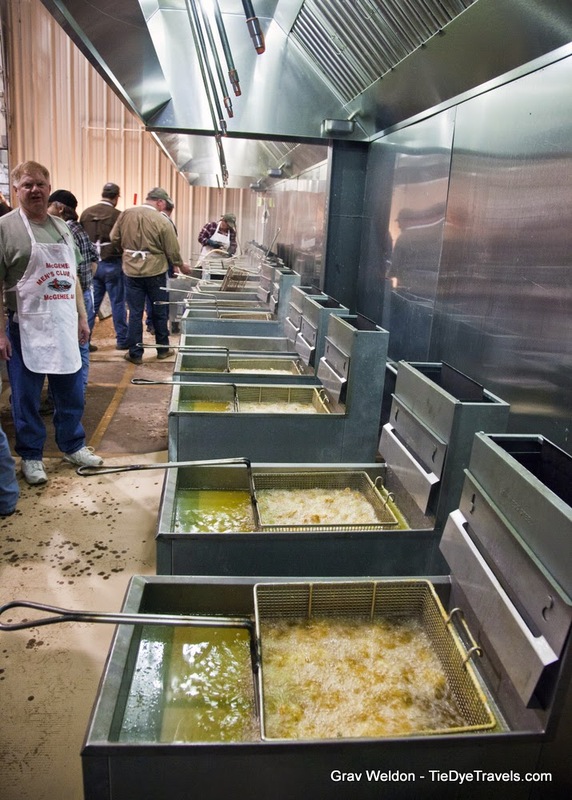 series of long tables parallel to the fryers were men working through their tasks, whether it was battering catfish or oysters. 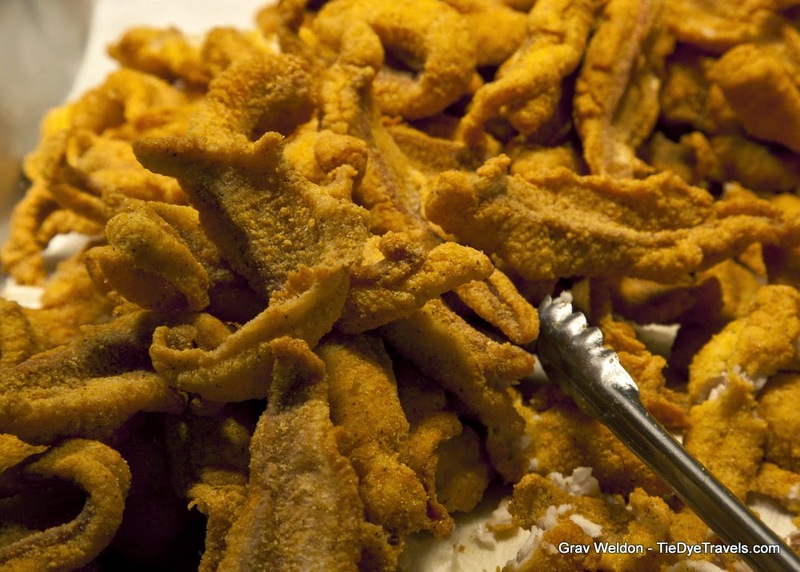 I noted both catfish and oysters were set into single layers in their fryer baskets, that they were watched tightly and that they were immediately turned out to drain and taken straight away to the line for service, very hot, very fresh. I also noticed that the grease was constantly being changed out... that's a whole lot of cooking oil in a short amount of time! 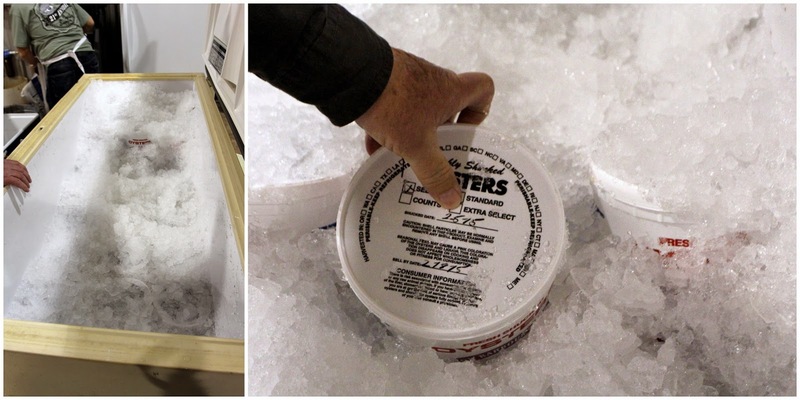 separate, and Gill showed me the cooler where what was left was being stored. 80 cases were purchased for this year's events. up for the community. 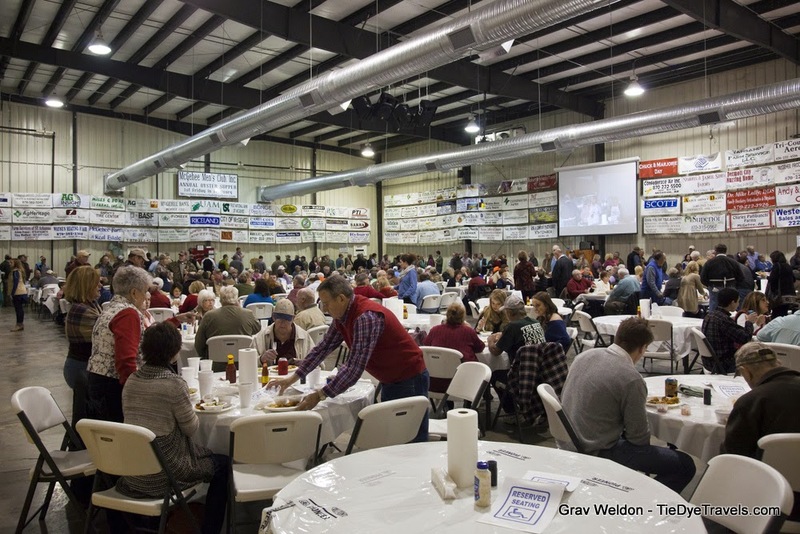 Since it was purchased four years ago, it's hosted a number of events, weddings, and activities -- including a Safe Prom for students and the Big River Rice & Grain Growers Luncheon. Rental is reasonable, a $550 rate that include a $200 refundable deposit. Gill told me there have been high school archery tournaments held inside. The banners overhead show how the community supports the upkeep. For $300, a business or organization can buy in and get a banner that hangs year-round in the facility, and it's just $200 a year after that. You can see how many organizations have jumped in on that bargain. This is all well and good, but it isn't answering all of your questions -- how was the event and, of course, how was the food? Well, the event was rocking, and people socialized back and forth in the hall. can take an hour to make it on through... but there are all sorts of things to engage your interest as you go along, and several beer stands along the way to quench the thirst and fuel the hunger. And when you get to the front, you get to fill your plate, select a beverage and find a seat. And this is what you can expect. 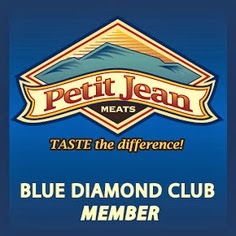 Now, while I was talking with Andy Gill, we were alerted to a development. Hunter was eating her weight in fries and Grav dining on catfish fillets when one of our lovely hostesses came up with a napkin. 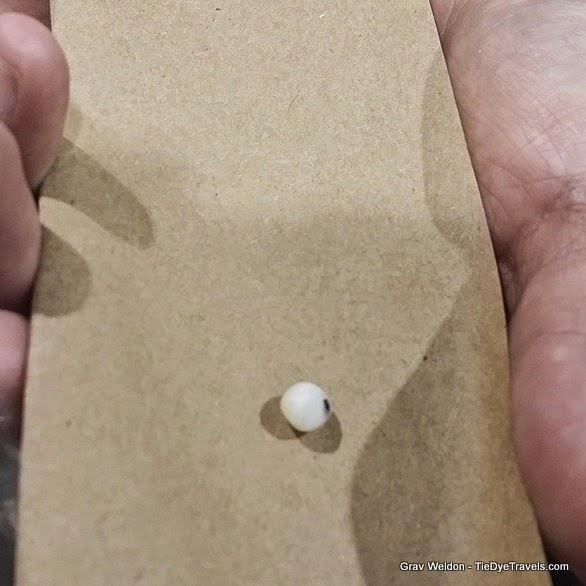 Seems someone found an actual pearl in their oyster! have ever had. Raw, with just a touch of fresh horseradish and cocktail sauce on a cracker, they were perfect. And somehow, freshly fried, they were even better -- completely dissolvingly soft and pliant, meaty without being fishy, just wonderful. 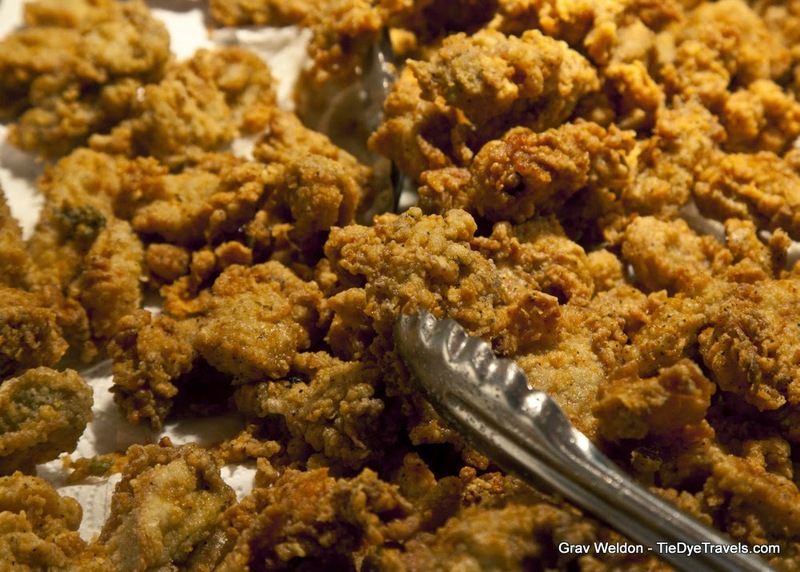 I ate three dozen fried oysters and a dozen raw. I don't deny that. I paid for it later, by goodness, but at the time it was the best thing I'd had in my mouth in at least a week. Strangely enough, there's more I need to tell you. For one, at eight the line's about done and the raffle winners are announced. But right before that, Doc Bilberry gets up to sing. Doc's a local veterinarian and himself an octogenarian, and he's beloved by the whole town. And he wraps things up by singing "You Are My Sunshine." The whole crowd joins in on the chorus. 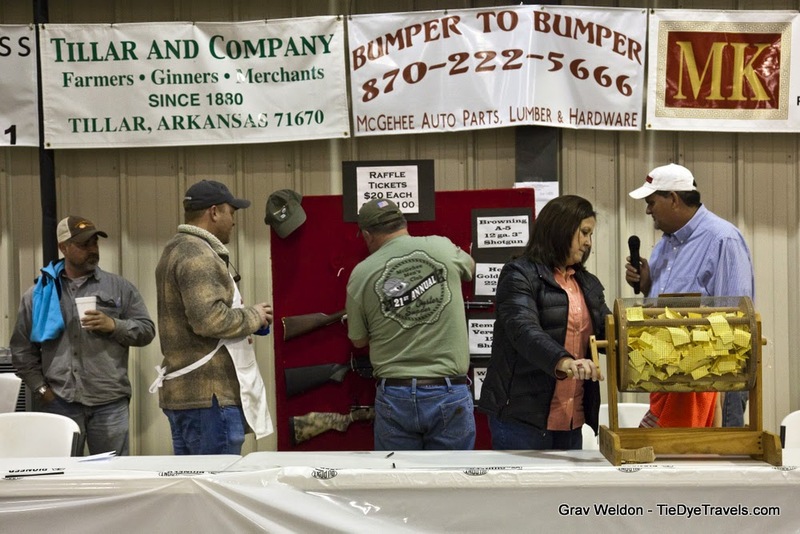 Each ticket bought for the supper entitles the bearer to one chance at winning a shotgun, this year a Ruger 10-22 Rifle. It went to Mary Jagger. 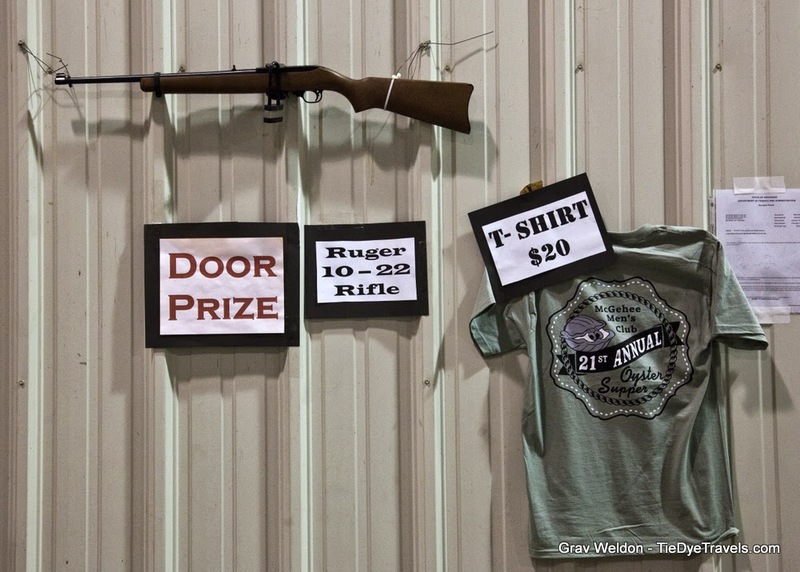 Another $20 ticket can be purchased for chances at other guns. instead we spent a good deal of time chatting, eating and enjoying the atmosphere. As we finally stepped away with the party still going on behind us, a golden egg-shaped moon came creeping up from the horizon. It was a good night. Supper is always the first Friday in February. Tickets are available in advance and also sold at the door. Go. You'll have a good time. 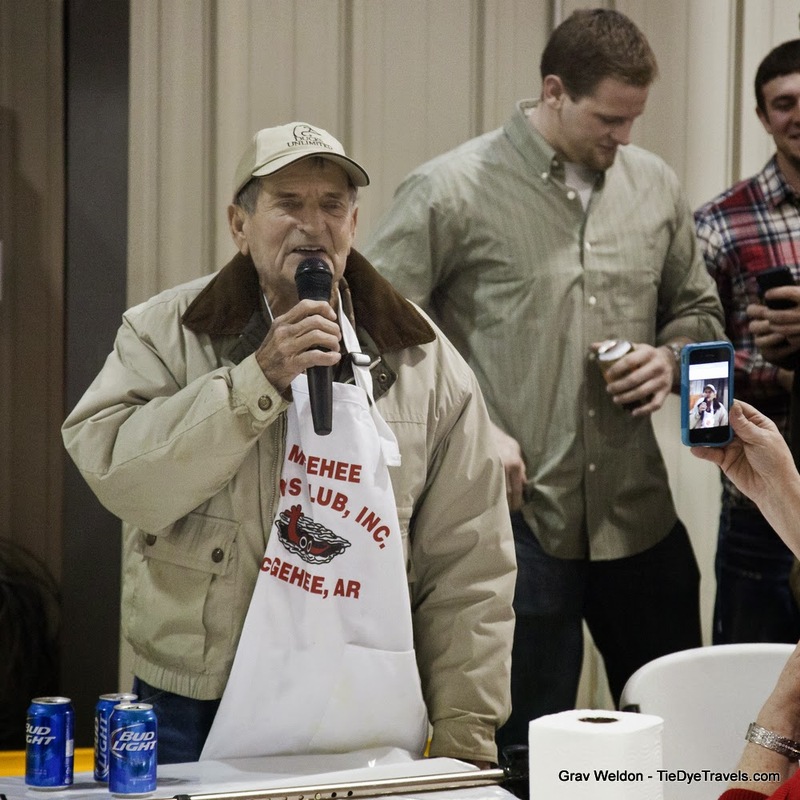 For more information, follow the McGehee Men's Club on Facebook. All that food looks good! 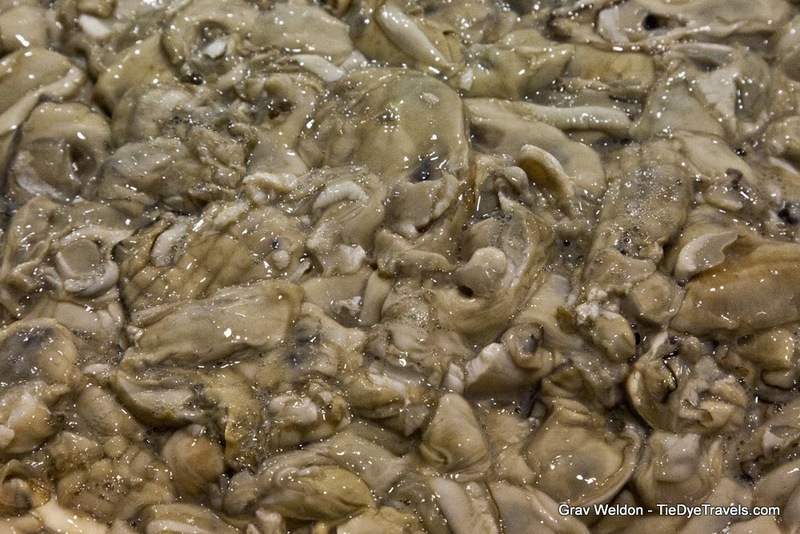 I don't know if I have never had oysters though. I can't recall ever eating them. They are very good fried but I also enjoy them raw. We will be having it this year on February 5 starting at 5.